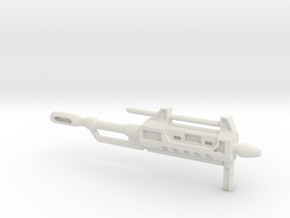 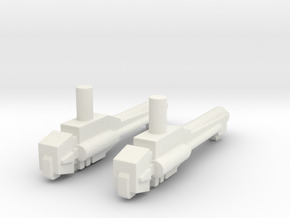 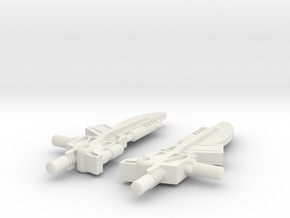 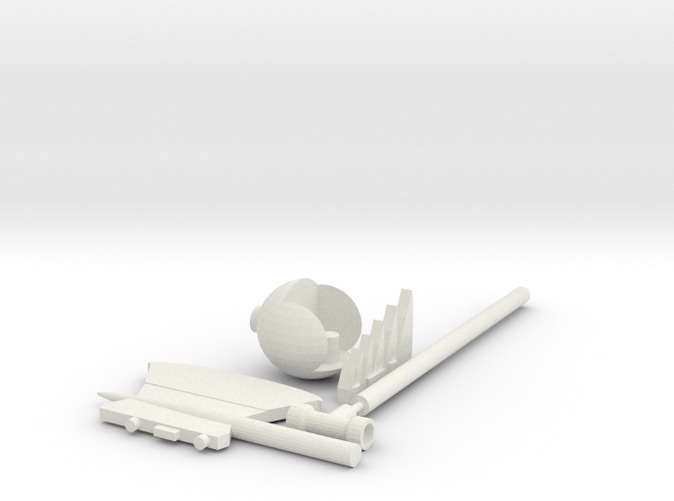 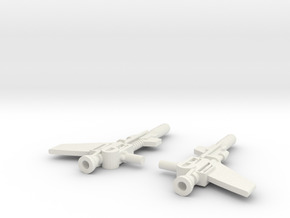 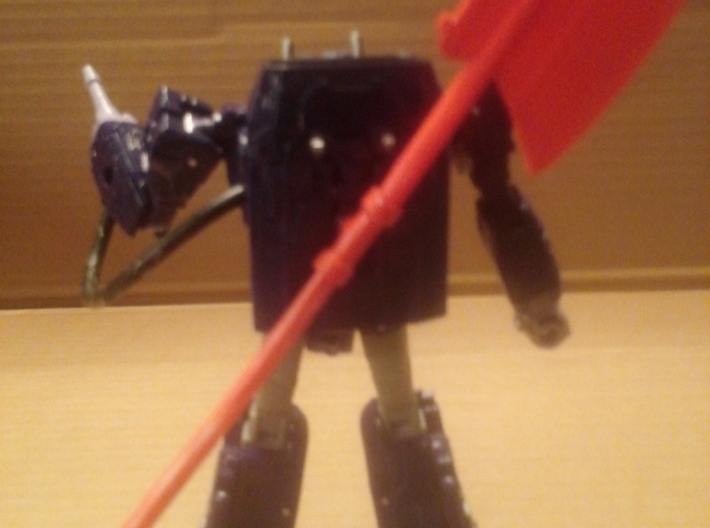 This is an Axe accessory based off of the Axe used by Optimus Prime in the G1 Cartoon, designed for the Voyager Class sized inner "Optimus Prime" mold used with War for Cybertron: Siege Leader Class Ultra Magnus, however other parts are included to allow any figure that features 5mm ports to wield this axe. 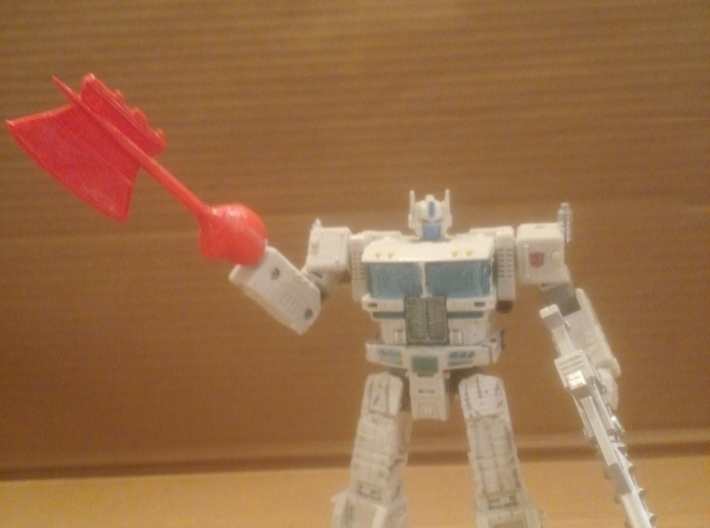 The other included parts are a "sphere" that covers Prime/Magnus' hand, then allows the axe to peg into the front so it can be wielded like it was in the G1 Cartoon, and a longer handle + an adapter that turns the axe into a 2-handed accessory. 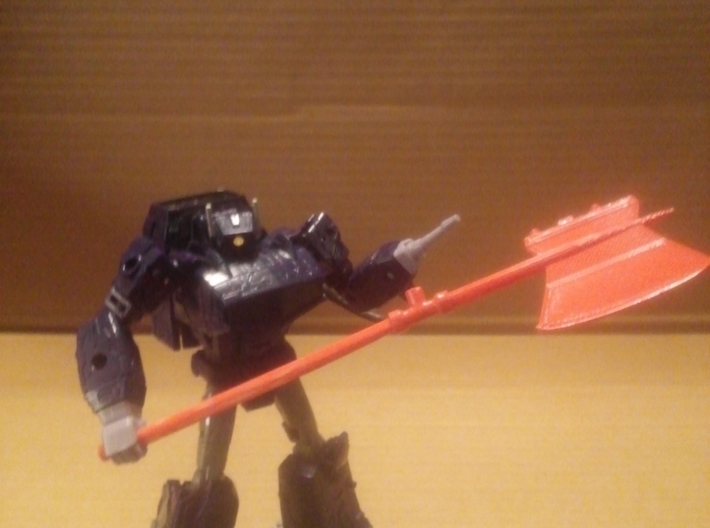 The axe's handle is also 5mm, so any figure can just wield it 1-handed normally as well. 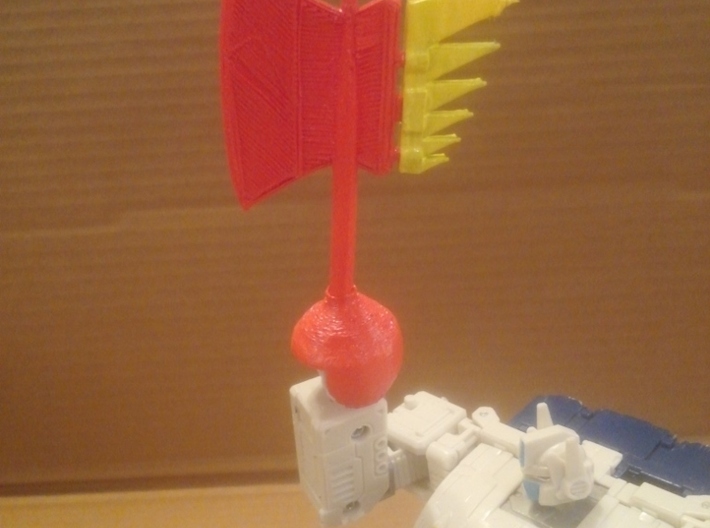 Also included is an effect part, that uses the same attachment 3mm peg system featured on Battle Master Lionizer, so that effect part would work with this axe too. 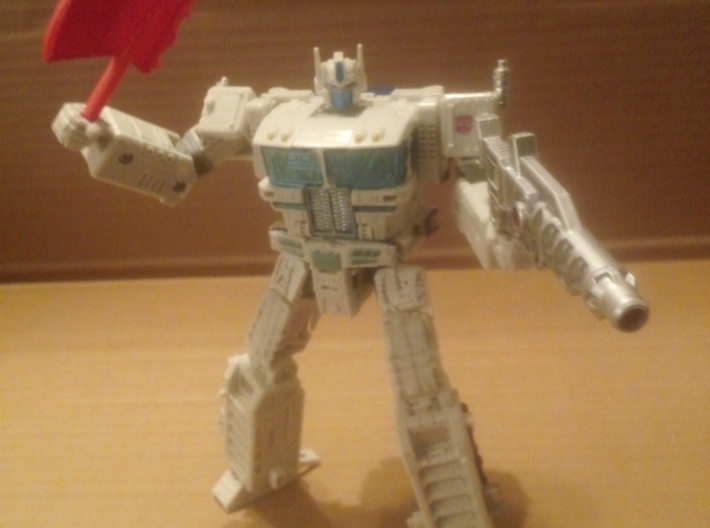 Note: If purchasing this item primarily for the effect part, printing in Smooth Fine Detail Plastic or Smoothest Fine Detail Plastic is recommend, so it matches the official effect parts included with select War for Cybertron: Siege figures as closely as possible.